For episode 16, we interview the Research Associate Professor Karl W. Schulz. 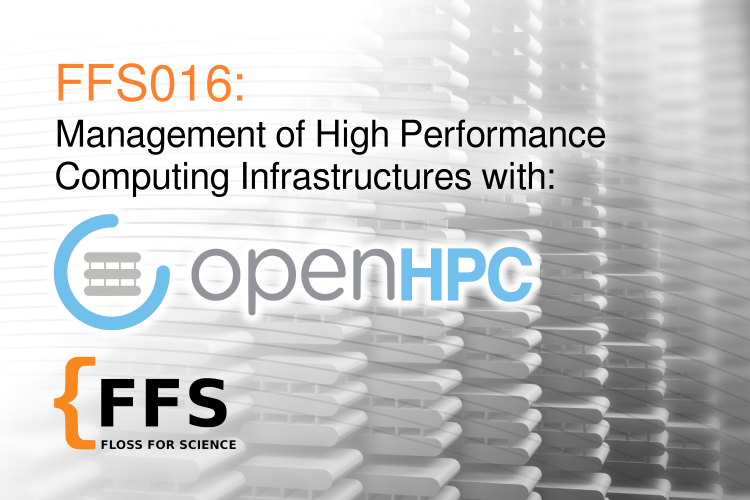 The episode starts with a discussion about High Performance Computing and how OpenHPC facilitate the managment of computing ressources. We then open the discussion towards open source tools, how they became so important for HPC and the their importance for open science. We also discussed about the inception of the OpenHPC project and its governance structure. We end the interview with our usual question in addition to a totally new one. OpenHPC is a collaborative, community effort that initiated from a desire to aggregate a number of common ingredients required to deploy and manage High Performance Computing (HPC) Linux clusters including provisioning tools, resource management, I/O clients, development and administration tools, and a variety of scientific libraries. Packages provided by OpenHPC have been pre-built with HPC integration in mind with a goal to provide re-usable building blocks for the HPC community. OpenHPC was formalized as a Linux Foundation collaborative project in June 2016 and has over 35 institutional members from academia, national labs, and industry. Karl W. Schulz received his Ph.D. from the University of Texas (UT) in 1999. After completing a one-year post-doc, he transitioned to the commercial software industry working for the CD-Adapco group as a Senior Project Engineer to develop and support engineering software in the field of computational fluid dynamics (CFD). After several years in industry, Karl returned to UT in 2003, joining the research staff at the Texas Advanced Computing Center (TACC), a leading research center for advanced computational science, engineering and technology. During his 10-year tenure at TACC, Karl was actively engaged in HPC research, scientific curriculum development and teaching, technology evaluation and integration, and strategic initiatives serving on the Center’s leadership team. Karl also served as the Chief Software Architect for the PECOS Center within the Institute for Computational Engineering and Sciences (ICES), a research group focusing on the development of next-generation software to support multi-physics simulations and uncertainty quantification. In 2014, Karl joined the Data Center Group at Intel where he led the technical design and release of OpenHPC. He continues to remain actively engaged in the project and is currently serving as the overall Project Lead. In 2018, Karl returned to UT as a Research Associate Professor in an interdisciplinary role within ICES and the Women’s Health Department at the Dell Medical School. For episode 15, we interview the Associate Professor of Archaeology Ben Marwick. 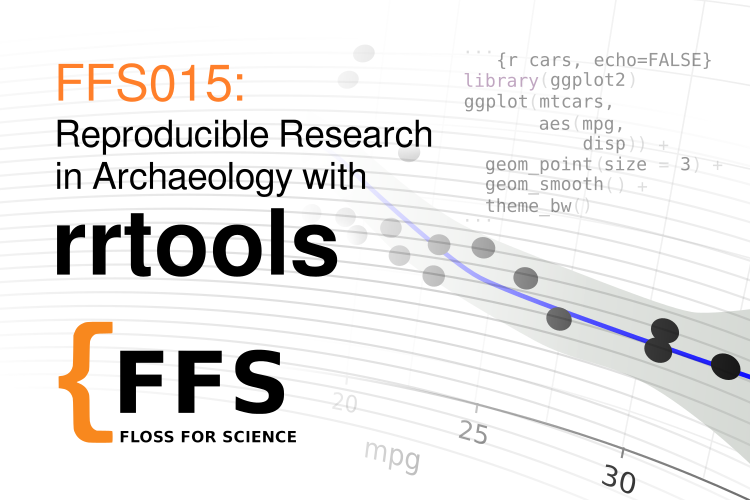 We start our discussion with an overview of some FLOSS tools he uses and how much FLOSS are used in archaeology. He shares with us his experience in regard to working completely in the open with GitHub and his hope that open science will become the norm in the future. We also discuss about rrtools and his propositions on how to greatly improve the reproducibility of science. As a closing though he shares with us his arguments why early career researchers should invest time to learn and transition to FLOSS tools. Ben Marwick is an Associate Professor of Archaeology at the University of Washington, Seattle. His other local affiliations include the eScience Institute, the Burke Museum, the Center for Statistics and Social Sciences, the Quaternary Research Center, and the Southeast Asia Center. Ben’s main research activities combine models from evolutionary ecology with analyses of archaeological evidence to investigate past human behaviour. Specific interests include the hominin colonisation of mainland Southeast Asia, forager technologies and ecology in Australia, mainland Southeast Asia and elsewhere. He also analyses how archaeology engages with local communities and popular culture. Ben has a special interest in techniques and methods for reproducible research, especially using open source software. To support this, he has lead the development of the rrtools package for the R programming language, which simplifies many of the tasks of writing a reproducible manuscript. Eglen SJ, Marwick B, Halchenko YO, Hanke M, Sufi S, Gleeson P, Silver RA, Davison AP, Lanyon L, Abrams M, Wachtler T. Toward standard practices for sharing computer code and programs in neuroscience. Nature neuroscience. 2017 May 25;20(6):770. 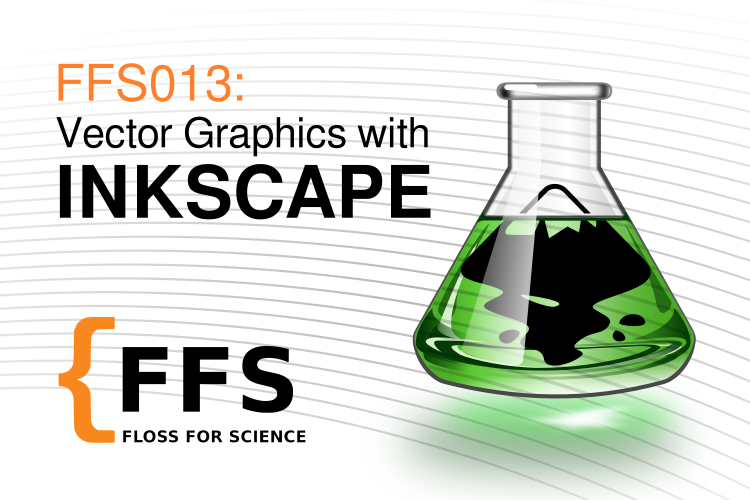 For episode 13, we interviewed Martin Owens, a British Free Software contractor based in Boston Massachusetts, during the 2018 Kiel Inkscape Hackfest, about the Inkscape project. After a brief presentation of Inkscape, we talked about the svg file format and the compatibility of Inkscape with other commercial proprietary offerings. He presented us a list of features planned for Inkscape 1.0, the next major version. We discussed about Inkscape in science and the wider importance of free software and open science. 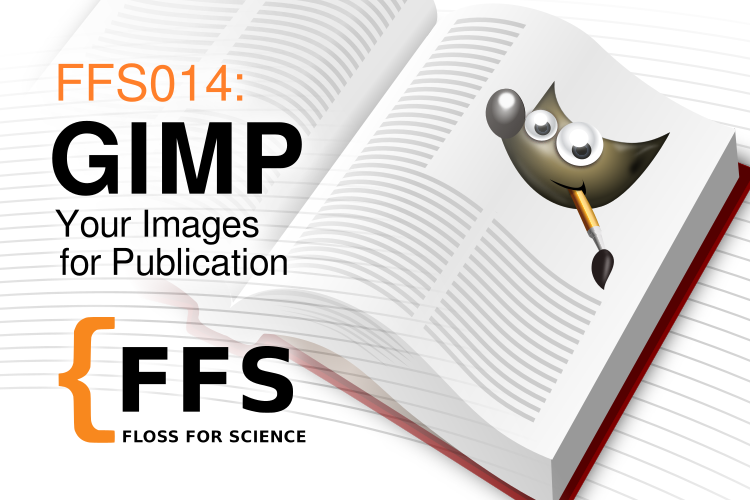 Follow us to be informed when we will release our next episode about the GNU image manipulation program aka GIMP. A Free and Open Source SVG vector image editor available for multiple platforms. A popular way of creating physical objects, intricate visualisations and beautiful artworks. Martin is a British Free Software contractor based in Boston, Massachusetts. In Episode 12, we interviewed Kenneth Hoste, who is an HPC system administrator at Ghent University in Belgium. We talked about the problems that arise when installing scientific software on HPC systems and how the EasyBuild project that originated at HPC-UGent helps dealing with those problems, the impact of open source software in scientific research, as well as the yearly FOSDEM open source software meeting in Brussels where he is actively involved in various ways. Kenneth Hoste, a.k.a. ‘boegel’, is a computer scientist and Free & Open Source Software (FOSS) enthusiast from Belgium. He holds a Masters (2005) and PhD (2010) in Computer Science from Ghent University. His dissertation topic was “Analysis, Estimation and Optimization of Computer System Performance Using Machine Learning”. Since October 2010, he is a member of the HPC team at Ghent University (Belgium) where he is mainly responsible for user support & training. 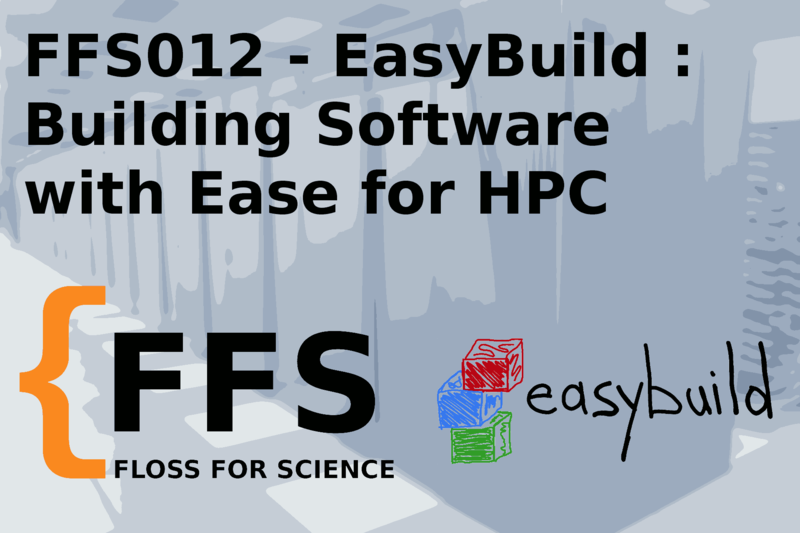 As a part of his job, he is also the lead developer and release manager of EasyBuild, a software build and installation framework for (scientific) software on High Performance Computing (HPC) systems. In his free time, he is a family guy and a fan of loud music, frequently attending gigs and festivals. He enjoys helping people & sharing his expertise, and likes joking around. He has a weak spot for stickers. In Episode 10, we interviewed Sébastien Loriot about CGAL. A software project that provides easy access to efficient and reliable geometric algorithms in the form of a C++ library. 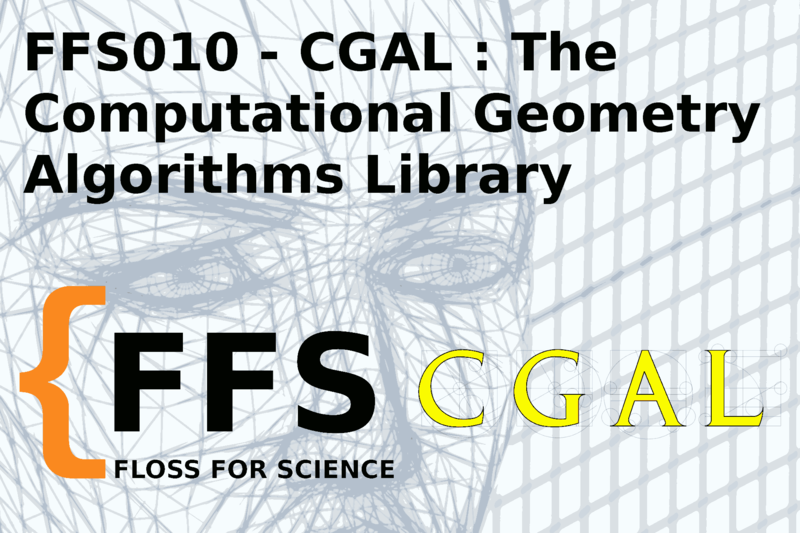 CGAL is used in various areas needing geometric computation, such as geographic information systems, computer aided design, molecular biology, medical imaging, computer graphics, and robotics. Check out for a detailed list of available modules. Sébastien is co-author of several CGAL packages and is also part of the editorial board of the library. He is mainly working on various operations on polyhedral surfaces within GeometryFactory. The CGAL Project. CGAL User and Reference Manual. CGAL Editorial Board, 4.12.1 edition, 2018. CGAL Open Source Project Rules and Procedures. A comprehensive list of projects using CGAL in various fields of art and science. In Episode 9, we interviewed Christophe Geuzaine about gmsh, a three-dimensional finite element mesh generator with built-in pre- and post-processing facilities. 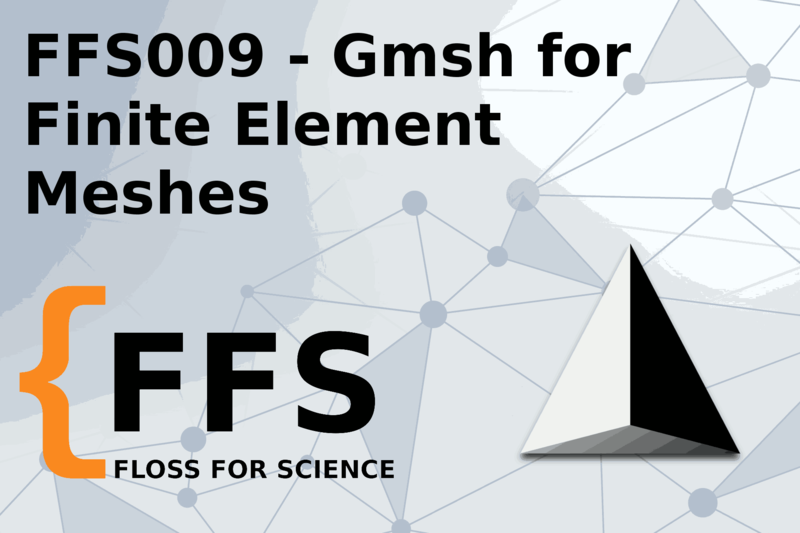 Gmsh is a free 3D finite element mesh generator with a built-in CAD engine and post-processor. Its design goal is to provide a fast, light and user-friendly meshing tool with parametric input and advanced visualization capabilities. Gmsh is built around four modules: geometry, mesh, solver and post-processing. The specification of any input to these modules is done either interactively using the graphical user interface, in ASCII text files using Gmsh’s own scripting language (.geo files), or using the C++, C, Python or Julia API. Christophe Geuzaine received his PhD degree in 2001 from the Faculty of Applied Sciences at the University of Liège in Belgium. After post-doctoral positions at the California Institute of Technology and with the Belgian National Science Foundation, he became an assistant professor of Mathematics at Case Western Reserve University in the US in 2005. In 2007 he came back to the University of Liège, where he is now full professor in the department of Electrical Engineering and Computer Science. He is the founder and head of the Applied and Computational Electromagnetics research group within the Montefiore Institute. Prof. Geuzaine’s research encompasses modeling, analysis, algorithm development, and simulation for problems arising in various areas of engineering and science, with current applications in electromagnetic, biomedical and geophysical problems. He has authored numerous papers in the fields of scientific computing and is the co-creator of the popular open source mesh generator Gmsh and the multi-physics finite element solver GetDP. For episode 8, we interviewed Bruno Blais about his utilization of open source software in his research about solid-liquid mixing. We started our conversation by talking about the different kinds of software packages he uses in his simulation workflow. We then asked him why and when he has decided to use FLOSS tools in is research. Following that, we talked about his philosophical and practical reasons to use FLOSS. He then shared with us how he contributes to the software he is using in his daily research. Finally, we talked with him about the significance of FLOSS for the openness of science and how it affects the society as a whole. 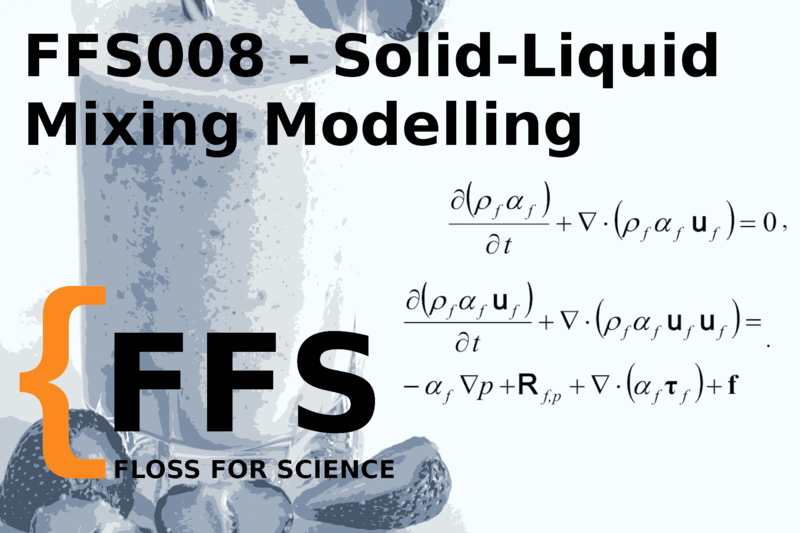 This episode is the first of series about finite element simulations, meshing and geometry analysis. Follow us to be informed when we will release our next episode about the open source meshing tool GMSH. Bruno Blais is a Research Officer with the Automotive and Surface Transportation Portfolio of the National Research Council of Canada (NRC AST) and an associate professor at the Department of Chemical Engineering at Polytechnique Montreal. He has earned a B. Eng. in Chemical Engineering, a Grande École Engineering Diploma from ENSTA Paristech, a master in Fundamental Fluid Mechanics from ENSTA and a Ph.D. in Chemical Engineering from Polytechnique Montreal. Bruno is a Vanier Graduate Scholar (2012-2016) and has received the Govenor’s General gold academic medal for his thesis work on numerical modelling of multiphase flow. He has also received the best thesis award from Ecole Polytechnique (2017) and the North American Mixing Forum (2016-2017). Bruno has also received other recognition such as the Da Vinci Profile of Ecole Polytechnique (2012) and the Master Île-de-France international Scholarship (2011-2012). Bruno’s expertise lies in the development, verification, and validation of high performance digital models for fluid mechanics, heat transfer, and complex multi-physical and multi-scale phenomena. His research interests are in computational fluid mechanics (CFD), reacting flow, granular and solid-fluid flow modelling, topology optimization as well as high-performance computing on distributed high-performance architecture and on GPU. He has been an active collaborator of the CFDEM project, an open source platform for granular and solid-fluid flows, since 2013. 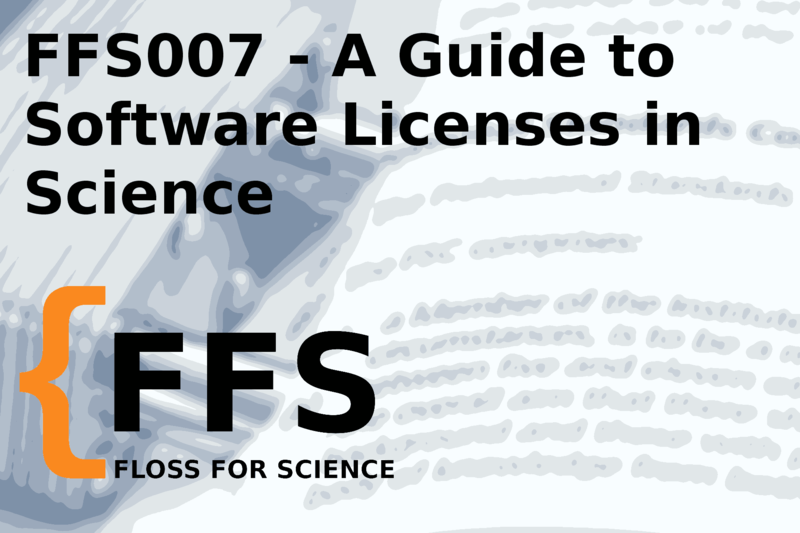 For Episode 7, we interviewed Karl Fogel and James Vasile about the importance of software licenses for scientists. The discussion was inspired from Chapter 9: Legal Matters: Licenses, Copyrights, Trademarks and Patents of Karl’s book: Producing Open Source Software - How to Run a Successful Free Software Project. Choosing a license for ones open source project is essential and we discussed why one should ship their scientific open source code with a license. In addition, we talked about the implications of providing a license and the legal aspects of licenses. Another aspect was open source license compatibility for the integration of libraries to an existing project. We also had a discussion in regards to the expectations of academic developers. Karl Fogel is an open source software developer, author, and consultant. In 2005 he wrote “Producing Open Source Software: How to Run a Successful Free Software Project” (O’Reilly Media, online at producingoss.com, based partly on his experiences in the Subversion project. He has worked at CollabNet, Google, Canonical, O’Reilly Media, and Code for America / Civic Commons, all as an open source specialist. He is now a partner at Open Tech Strategies, LLC, where he helps organizations launch and engage with open source projects. He is also an Open Internet Tools Project Fellow at the New America Foundation, a former member of the board of directors of the Open Source Initative, and a member of the Apache Software Foundation. He is @kfogel on Identi.ca and Twitter, and his home page is red-bean.com/kfogel. James Vasile has fifteen years experience as a user, developer, advocate and advisor in the free and open source software world. His expertise is in software licensing and community-building, as well as non-profit and small business startup. He focuses on free software and open source production, although his work and interests often take him far beyond the world of software. Much of what James does involves teaching people how to build successful businesses around free software and ensuring licensing alignment in multisource FOSS stacks. Previously, James was a Senior Fellow at the Software Freedom Law Center, where he advised and supported a wide range of free software efforts. A former Director of the FreedomBox Foundation, James remains active in several technology development efforts. 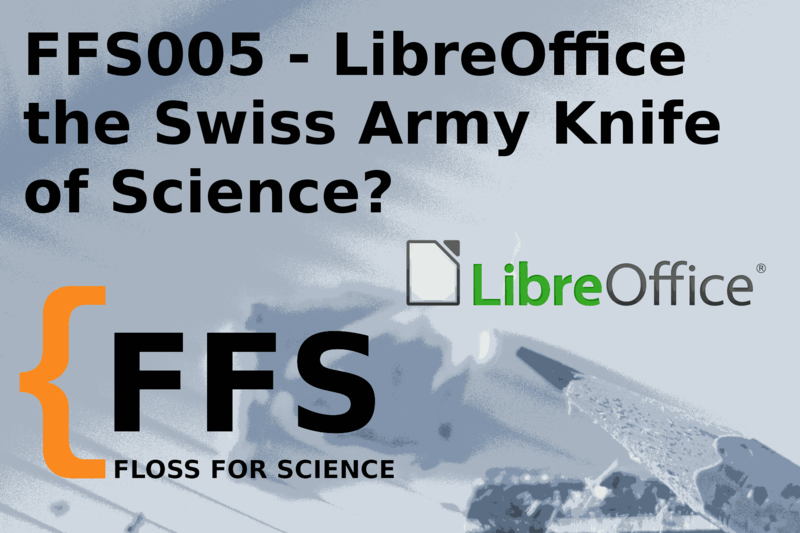 EP005 LibreOffice the Swiss Army Knife of Science? In Episode 5, we interview Katarina Behrens, a consultant and software developers of LibreOffice, LibreOffice extensions and related libraries working at CIB Group of Companies. 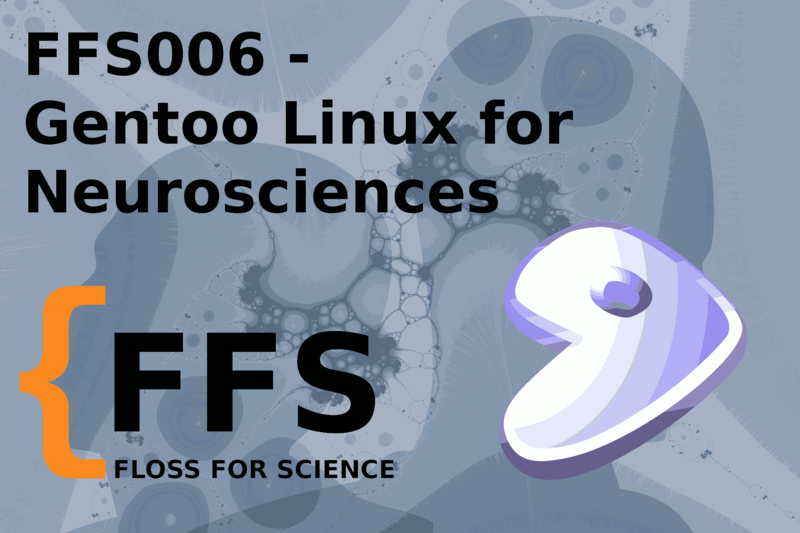 We discuss her involvement with The Document Foundation, the capabilities of the LibreOffice suite and why an open source office suite is relevant for scientists. member of SUSE LibreOffice team. After a brief intermezzo in computer security business, she was hired by CIB (a German company delivering document management systems) in 2015 to work on LibreOffice full-time again. Apart from squashing LibreOffice bugs that disturb CIB customers’ good night’s sleep, she engages in mentoring (Google Summer of Code) and finds seeing her mentees succeed to be an ultimately rewarding experience. You can get more information about LibreOffice using this link. If you want to get involved in the project you can get more information’s here and a video can also be found on Youtube. 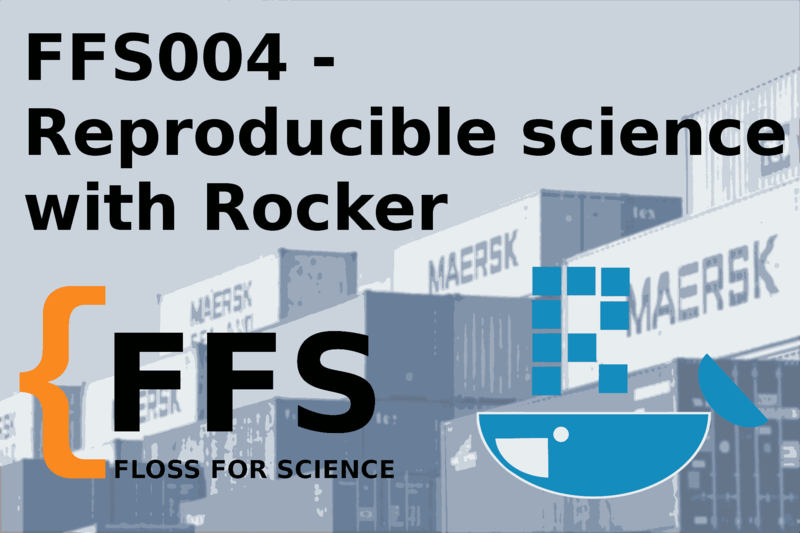 Rocker is an open source community project providing Docker containers for R users. Rocker containers help users to easily share and deploy customized and reproducible R environments on local and remote machines. Rocker images have been downloaded over three million times and are maintained by Carl Boettiger & Dirk Eddelbuettel with many contributions from the user community. Carl Boettinger is an Assistant Professor in the Department of Environmental Science, Policy and Management at UC Berkeley. He works on problems in ecological forecasting and decision making under uncertainty, with applications for global change, conservation and natural resource management. He is particularly interested in how we can predict or manage ecological systems that may experience regime shifts: sudden and dramatic changes that challenge both our models and available data. The rapid expansion in both computational power and the available ecological and environmental data enables and requires new mathematical, statistical and computational approaches to these questions. Ecology has much to learn about what are and are not useful from advances in informatics & computer science, just as it has from statistics and mathematics. Traditional approaches to ecological modeling and resource management such as stochastic dynamic systems, Bayesian inference, and optimal control theory must be adapted both to take advantage of all available data while also dealing with its imperfections. His approach blends ecological theory with the synthesis of heterogeneous data and the development of software – a combination now recognized as data science. 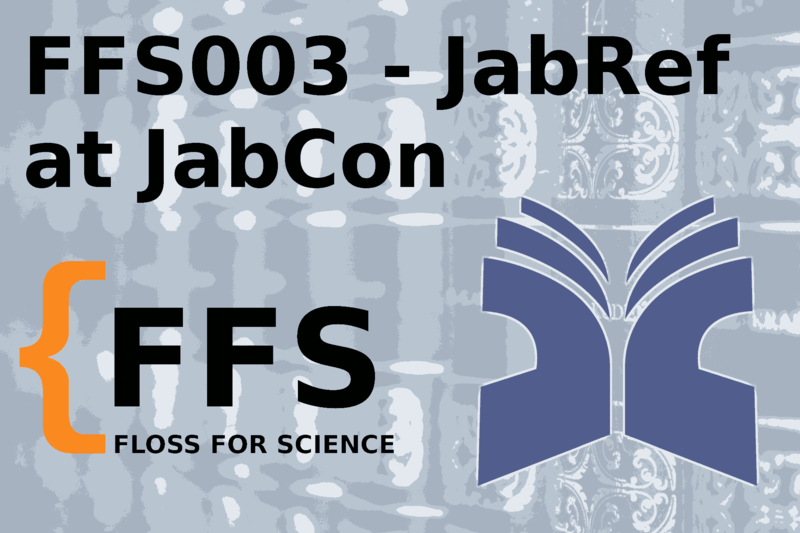 JabRef is an open-source, cross-platform citation and reference management tool licensed under the MIT license, which works on Windows, Linux and Mac OS X. It is available free of charge and is actively developed. JabRef supports you in every step of your research work. Stay on top of your literature: JabRef helps you to collect and organize sources, find the paper you need and discover the latest research. The native file format used by JabRef is BibTeX, the standard LaTeX bibliography format. Bibliographies generated by LaTeX and BibTeX from a BibTeX file can be formatted to suit any reference list specifications by the use of different BibTeX and BibLaTeX style files. Oliver Kopp studied Software Engineering and defended his PhD in the field of cross-partner business process management. Currently, he researches as PostDoc in the area of architectural decision records. For him, the key success factor for turning research into practice is sustainable open source software. Thus, it is a natural fit that he is project lead at Eclipse Winery, which provides a framework for research on modeling TOSCA-based (Cloud) applications. Jörg Lenhard is a post-doctoral research fellow at the Software Engineering Research Group of Karlstad University, Sweden. He obtained his PhD in Computer Science from the University of Bamberg, Germany, where he also completed his Bachelor and Master studies, along with several exchanges to the University of Skövde and the Blekinge Institute of Technology in Sweden. Jörg’s passion lies in the development of high-quality software, which is where his research and teaching activities are centered. This is also the reason why he participates in open source software development and JabRef. Next to his academic publications, he recently authored a text book on code quality for Java beginners titled Java by Comparison: Become a Java Craftsman in 70 Examples. In Episode 2, we interview Laurent Cormier, a research associate at the École de Technologie Supérieure in Montréal. 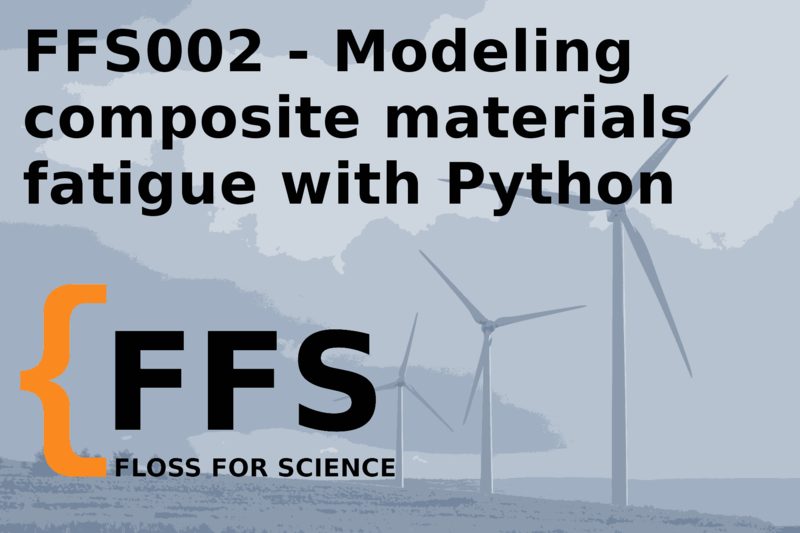 He introduces us to his past research regarding the evaluation of the fatigue life of composite materials and the predictive model he developed with Python. 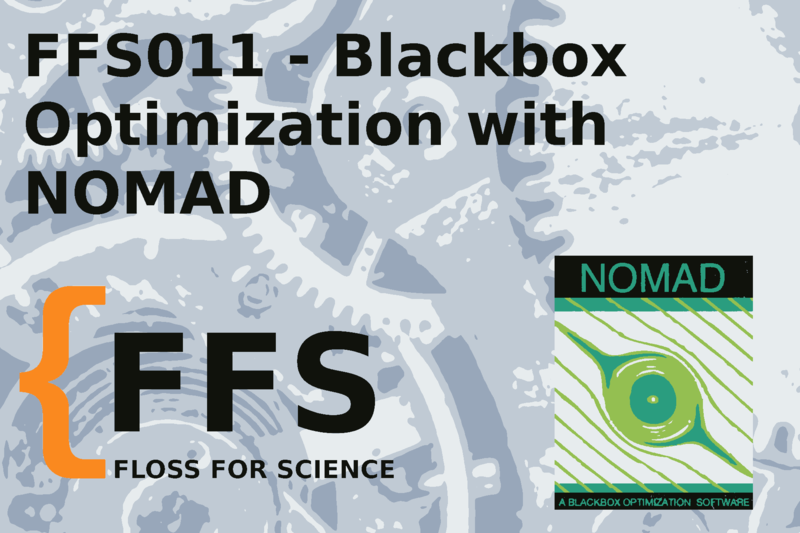 He also share with us his scientific perspective on FLOSS and tools he uses in his research workflow. Laurent Cormier owns a Bachelor’s degree (2006) and a research Master’s degree (2009) in mechanical engineering and received his Ph.D in engineering in 2017 from the École de technologie supérieure (ETS) in Montréal. He currently is a postdoctoral researcher working on high voltage capacitor manufacturing technology, a research associate in composite materials and a lecturer at the same institution. His previous research topics include experimental characterization and analytical modeling of temperature and northern climates’ effects on the static strength, fatigue durability and viscoelastic behaviour of composites. These research topics were part of multiple projects, including the Wind Energy Strategic Network (WESNet) from the Natural Sciences and Engineering Research Council of Canada (NSERC), the Upwind program from the European Commission Sixth Framework Programme and industrial partnerships. He also has a strong interest in Science, its methods, its philosophy and the transmission of knowledge. Photography, literature and politics are also part of his broader interests. 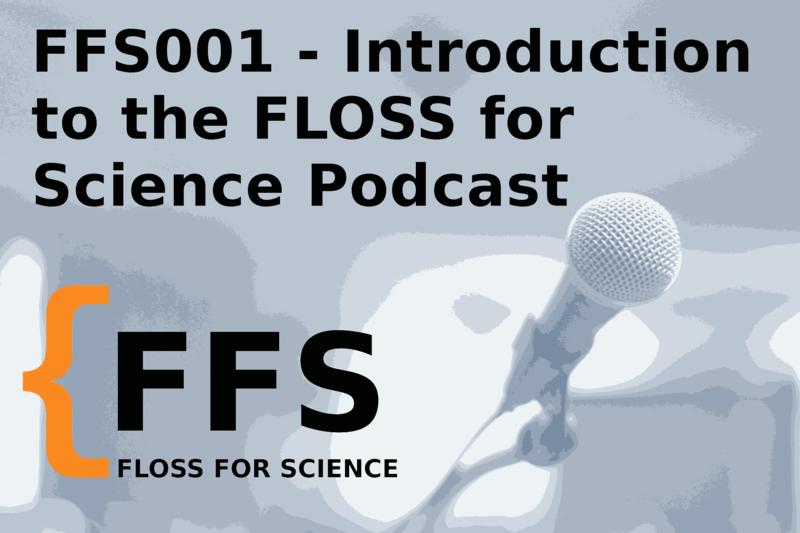 In this episode the two hosts David Brassard and Patrick Diehl of FLOSS for Science introduce themselves and they explain the aims of this podcast.